So much yarn, so little time. 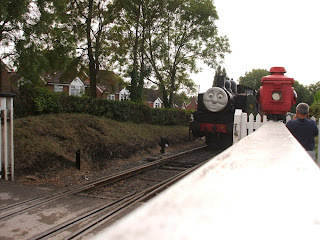 : Have you met Thomas? Cos I did - this weekend! How cute! My daughter wants to take her son to see Thomas sometime.....he is a big fan! OMG...yes! 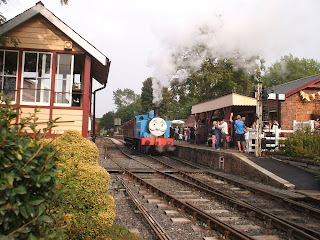 My son is addicted to trains & we've seen Thomas twice now. I'm sure your little one had a blast. My favorite part besides the look on my boy's face was the temporary tattoos! LoL! Firstly I'd like to say I love your blog and your knitted creations. Cool! 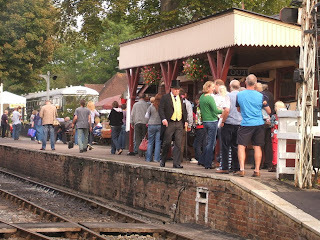 Did you get to meet the Fat Controller, I spied him in your photos. I must investigate further, my kids would love this.